The three artists above were all nominated for Outmusic Awards, last June, for excellent albums. 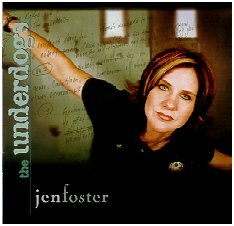 Jen Foster had an album called "The Underdogs" and I'm playing a song from it called "Amen." 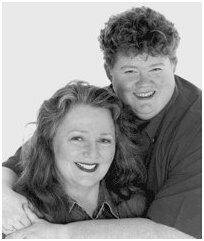 This song won top prize in the USA Songwriting competition, in the gospel category and she's the first openly gay artist to do so. 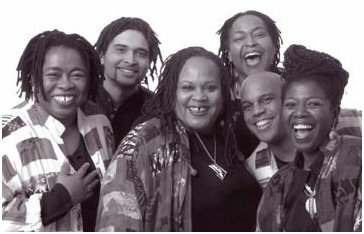 Nedra Johnson often records spiritual songs, and "Anyway You Need Her" sure got a lot of attention, and I love it. 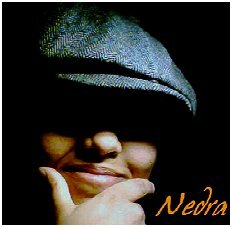 You can hear my interview with Nedra on the September edition of QMH. 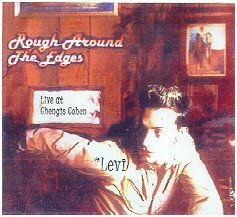 And Levi Kreis released a wonderful album last year called "One of the Ones," but I picked an earlier song of his "Stain Glass Window," from a very limited release CD "Rough Around the Edges." 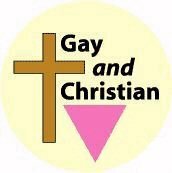 I understand the song will be in the movie in production of "Southern Baptist Sissies." 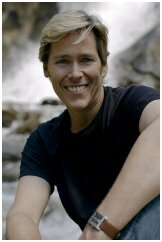 By the way Levi also gave me a fascinating interview, which can be heard on my January show, in which he shares his own trials with coming out, and being thrown out, in a religious college. 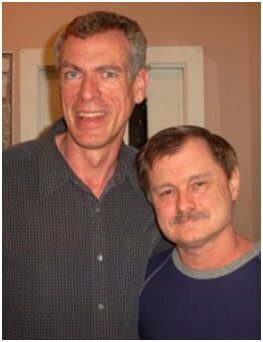 Below, some candid shots, me with Nedra Johnson last June at the Outmusic Awards, and I'm nestled between Levi Kreis and Eric Himan, when they performed in Houston in March of 2006. Below, I caught that one of Jen Foster, accompanied by Stephanie Callahan (formerly of Halcyon), performing at the Outmusic Awards, 2006. 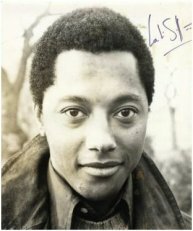 Above left, English poet and composer Labi Siffre wrote the classic "Something Inside So Strong," a hit for him in 1986. It started off a set of perhaps not religious, but certainly uplifting songs. 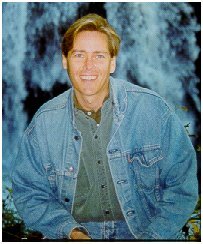 That's the way I see Tony Jones' song "Until Your Voice," inspiring in an ethereal new-age way. 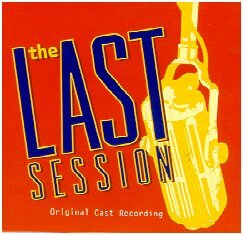 And below, "When You Care" is the stand-out song in an excellent musical from 1997 called "The Last Session," written by Steve Schalchlin, who I interviewed at KPFT in April of 2003, when he and his partner Jim Brochu were in town performing "The Big Voice." 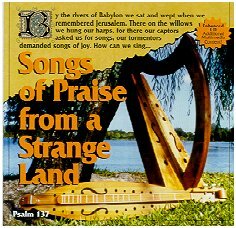 As part of the Upbeat program, led by Marsha Stevens, many young GLBT Christian artists got a chance to learn, and be heard on the CD released in 2003, called "Songs of Praise from a Strange Land." 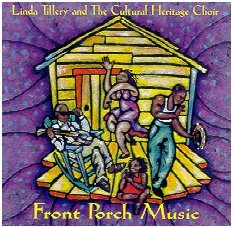 One of the nice duets was "Dare to Dream," written by Jallen Rix, and sung by Michael Jansen and Jared Wengert, who flank the CD cover above. 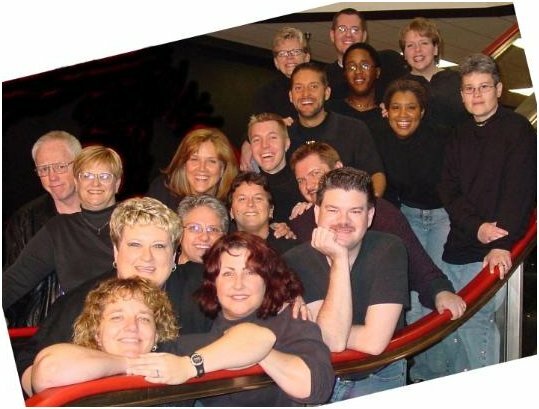 The "cast" is shown below. 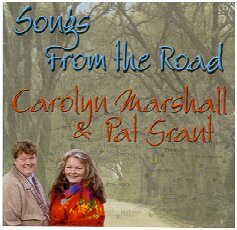 Below, Carolyn Marshall and Pat Grant, and their 2005 CD, "Songs From the Road." 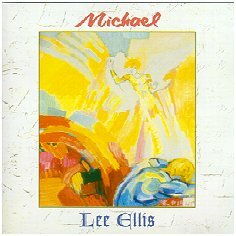 Below, Lee Ellis surrounds his 1999 CD, "Michael"
Above, Gwen Avery's "Sugar Mama" CD was not necessarily a religious disc, but it did give us her great version of "Precious Lord." 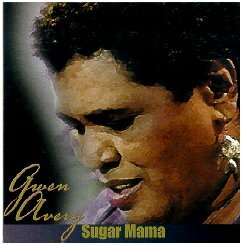 Gwen Avery and Linda Tillery were both featured on the landmark album "Lesbian Concentrate," in 1977, the first lesbian various artists album, released of course by Olivia Records. 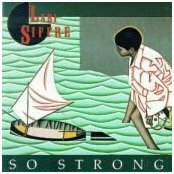 Its cover art and them was in protest to Anita Bryant, the former orange juice queen, who was on the bigot trail those years. 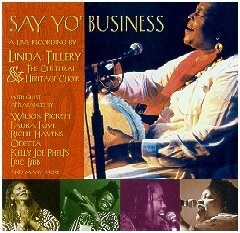 More recently, Linda Tillery has been involved musically with the group she founded, The Cultural Heritage Choir, and from their 2001 CD "Say Yo Business" I took "Lift Every Voice and Sing." 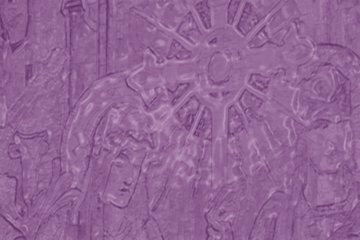 Please click to continue on to Part 7 of "Gay Christian Music"